So, continuing with my review of this weeks outfits and mani's.......to recap quickly, my back is out of whack, I have limited mobility so I have been entertaining myself with matching my mani's to my tops for the week. This past Tuesday I was going to wear polka dots, black and white. I didn't want to just do something that simple. 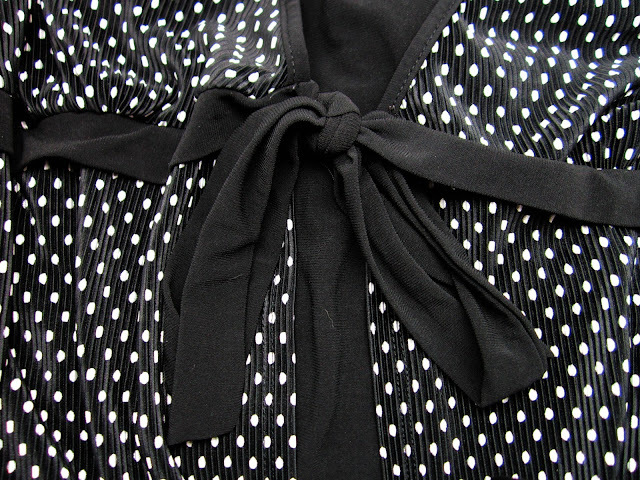 The blouse has a bow on the front so I thought about Minnie Mouse with a bow in her hair and her polka dots. So here is the blouse and the nails. Excuse my super dry skin. I did moisturize the heck out of my hands and cuticles after this picture was taken. I really like this. 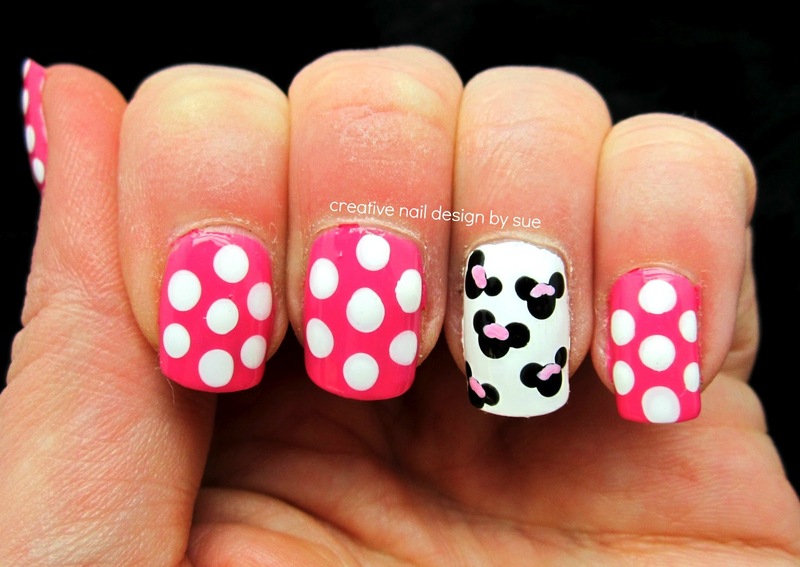 I love minnie mouse. Okay, the bow on Minnie is SOOOO adorable! !